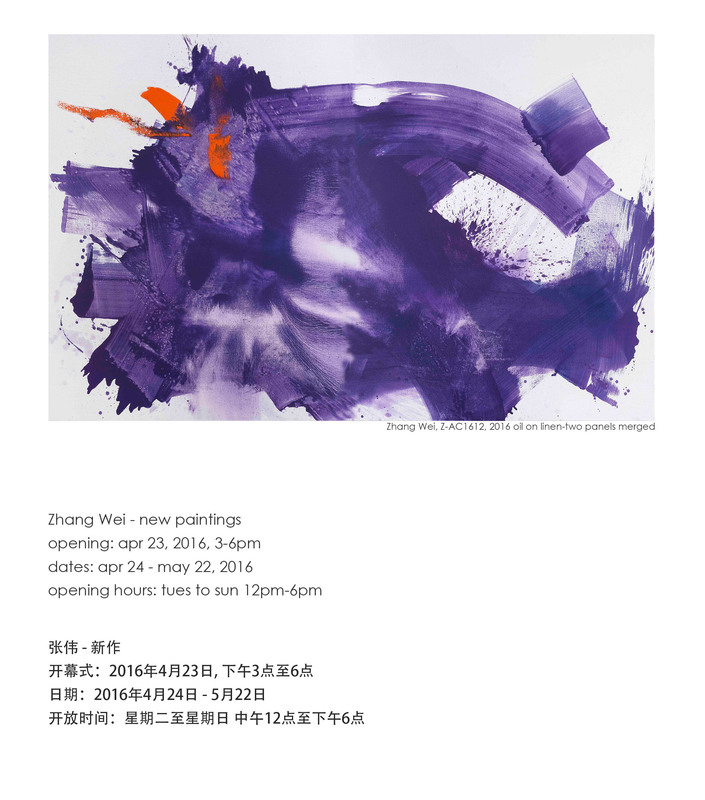 Boers-Li Gallery is proud to present Zhang Wei’s second solo exhibition, “Zhang Wei: New paintings” on April 23, 2016. 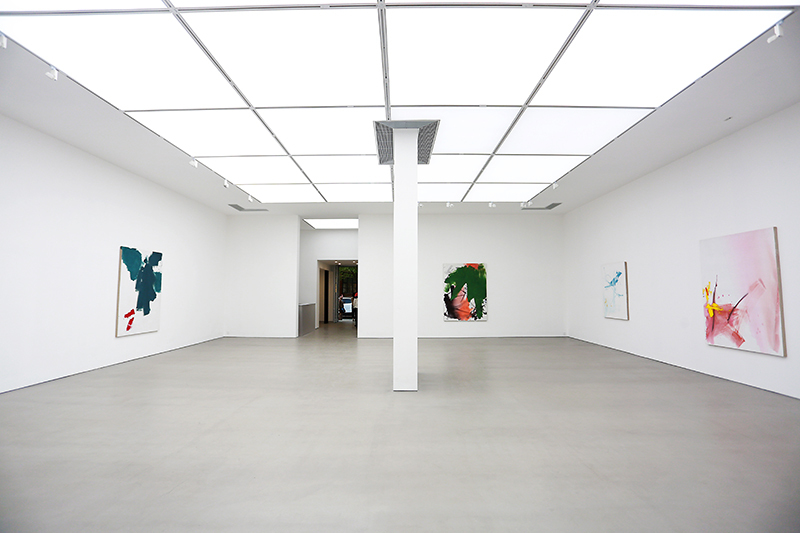 Since the gallery’s first introduction of Zhang Wei’s works spanning nearly the last four decades in “Zhang Wei: The Abstract Paintings 1979-2012”, his practice of abstraction reemerged and gained worldwide recognition in the context of modern and contemporary Chinese art. 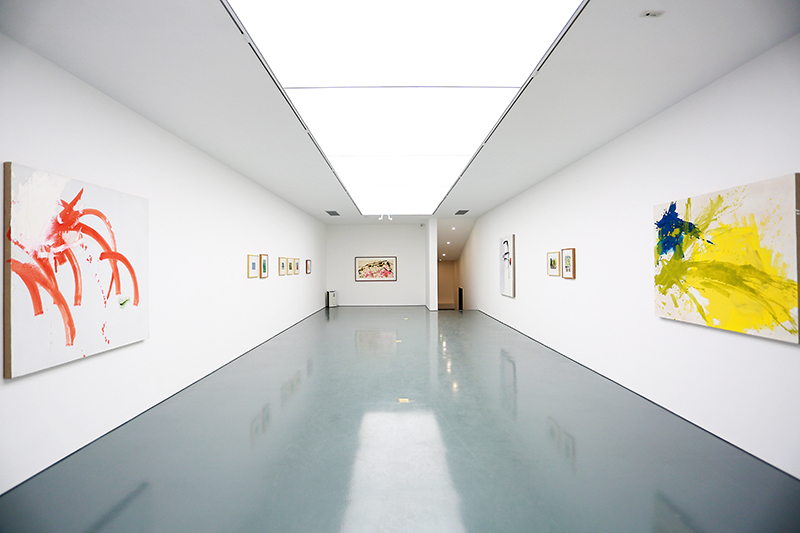 “Zhang Wei: New Paintings” comprises of a selection of the artist’s most recent works on canvas, in which he explores the most extended possibility of contemporary, global painting. Both Western andChinese painting are brought together in a manner that signifies the unique approach of this artist. Throughout this exhibition, archival materials documenting the development of Zhang Wei’s artistic practice, as well as contextual information of the transitional period from social and political unrest the search of modernity will be shown. Zhang Wei (b.1952), who is one of the first abstract painters in China today, desire for spiritual freedom to be manifested through his artistic expressions. Since the early 1970s, without having access to a formal art education, he painted still objects or en-plein-air with the older members of an artists’ collective that later became known as the No Name Group (WumingHuahui). His lyrical and colorful paintings of still objects or landscapes filled with beauty resisted not only as a lifestyle, but the dominance of propagandistic visual environment of the Cultural Revolution. Yet, unsatisfied with his own practice, Zhang Wei felt the need to respond to his own calling to search for artistic freedom. 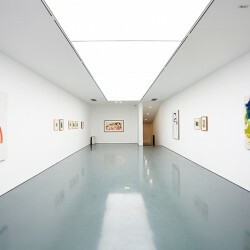 As China opened up culturally and economically, the influx of visual resources such as the works of Jackson Pollock and the meeting with Robert Rauschenberg had amajor impact on Zhang Wei, that allowed him to steer towards “action painting”, a form of painting that directly translates the artist’s individuality through engaging spontaneity and physical energy in approximating the image of the mind. It was productive period that marked Zhang Wei’s beginning in the making works on canvas that were unconventional, non-realistic and non-representational. 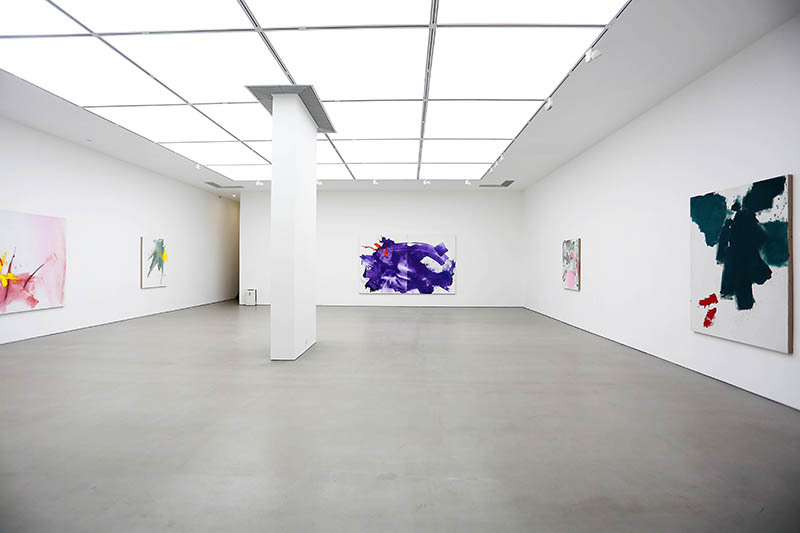 In his new paintings which will be on view in Boers-Li Gallery, Zhang Wei progressed through these stages of experimentations and innovations. Enriched by his cross-cultural experience for having lived in the U.S. for nearly two decades, the resettlement back to Beijing in 2005, bridges Zhang Wei’s understanding of the Western masters of abstraction and reverence for his own cultural tradition. 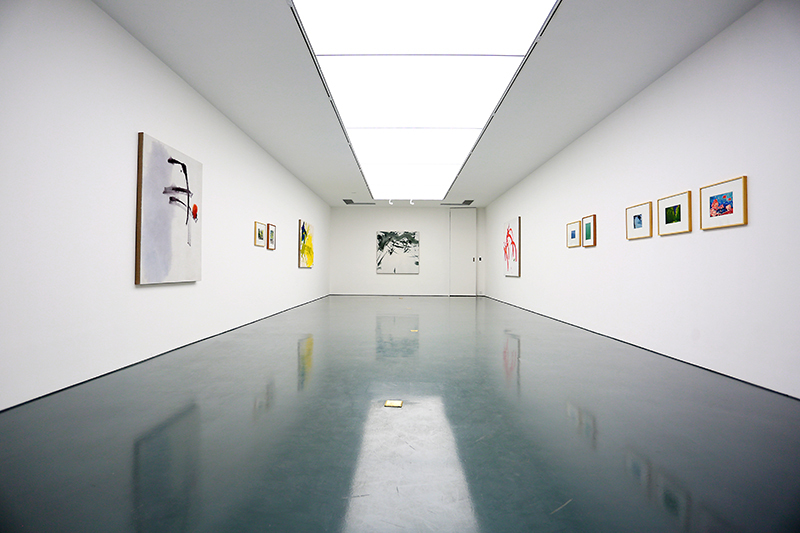 His work draws references from painters such as Qi Baishi, Xu Wei among others, which are then integrated with his personal experiences onto the canvas through free gestural brushworks that demands physical energy. 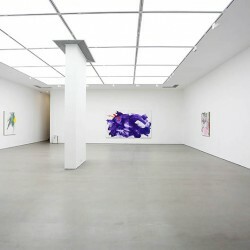 Within these works, the uses unconventional palette of vibrant colores to guide the brush achieving free movements, and utilizes his whole body to permeate onto abstract canvas, showing spaces created by multiple layers as well as blank spaces. For Zhang Wei, the canvas is deliberately considered as a three-dimensional space, where he is not afraid to venture beyond oil, paint and the brush by engaging different mediums and subject references. 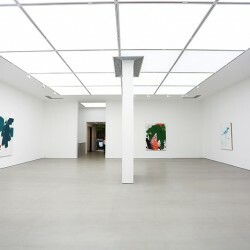 Zhang Wei’s works are widely exhibited internationally. 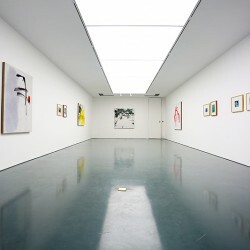 In particular, his early abstract paintings from the late 70s, marking the rise of modern contemporary Chinese art, were recently exhibited “40 Years of Contemporary Chinese Art” from the M+ UliSigg Collection in Hong Kong. 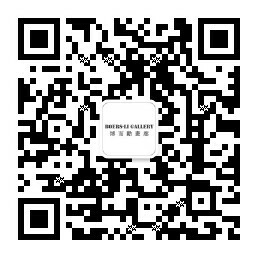 Equally, his works are collected by renowned international art institutions, such as the M+, Museum for Visual Culture of the West Kowloon Cultural District, Hong Kong, the Chicago Art Institute, USA, … and various prestigious private collections worldwide.